Infant cost is $6.00 (wharfage fee). Group rates available for 20 adults or more. This extremely popular mode of transportation sells out quickly - BOOK EARLY! Book early, as this boat does sell out! Transportation is available for most guests. Please see what to expect below. The Catalina Flyer departs from the Balboa Pavilion in Newport Beach at 9 am daily, returning from the island at 4:30 pm daily. This is one of the most easily accessible ports for residents of Orange County, Inland Empire and San Diego County to travel by boat from the mainland to Avalon. Crossing time is only 90 minutes on the LARGEST catamaran to Catalina Island. Enjoy “Speed – Service – Comfort” with the Catalina Flyer. The Catalina Flyer is a three deck boat. A snack bar is available on the first deck; an alcohol-serving bar is located on the second deck. Snack bars are CASH ONLY. Credit cards are not accepted on board. What to bring and wear: Wear comfortable clothes for the season. Walking shoes are recommended. Bathing suit, hat & sunscreen are always good things to have on Catalina Island. Payment for parking can be made in cash or credit card. Make sure to bring cash with you for the snack bar & drink bar on the boat – credit cards are not accepted. Restrictions: No pets please – carry-on luggage only. Only two pieces of hand-carried luggage per person. All passengers are required to carry their own luggage onto the boat and it will be put in the luggage storage area. Bikes are $7.00 round-trip – payable on departure. Single-handed ice chests only – no tools of any kind. No carts, wagons, or large hand trucks. No gas/propane stoves – No flammable substances. A golf bag counts as one piece of luggage. No paddle boards or kayaks are permitted. Strollers are O.K. Catalina Island weather may impact this excursion. Does the Catalina Flyer run every day? The Catalina Flyer operates 290 days a year (weather permitting), including most major holidays. How early do I need to check-in for the Catalina Flyer? You should plan to check in 1 hour prior to departure for your trip to Catalina Island on the Catalina Flyer. Boarding will begin 30 minutes prior to departure. The boat will not wait for guests who are late. Where do I park when I travel on the Catalina Flyer? 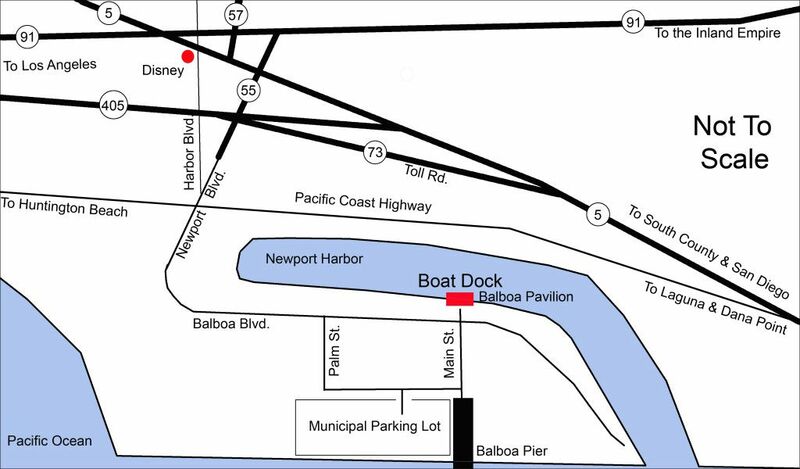 Parking is located at the Municipal Parking Lot adjacent to the Balboa Pier. You can get to the parking lot from the terminal via Main Street or Palm Street. The daily rate is up to $18 per day. Payment is made at various self-serve pay stations found at the perimeter of the parking lot, or via smart phone. You will need your license plate number and a credit card, or the correct amount in cash to pay at the pay stations. The pay stations do not provide change and do not give refunds. “Fast and comfortable”: This large fast cat ferry (600 passengers) does exactly what it is supposed to do. And the crew is terrific. Operates daily between Newport and Avalon.